On 27th August 2010, work started on installing the IT equipment in the main building. Here are the first two modules to be added. The top one is the optical fibre patch panel for the 8-core fibre that runs between the LOFAR field and the Main Building. 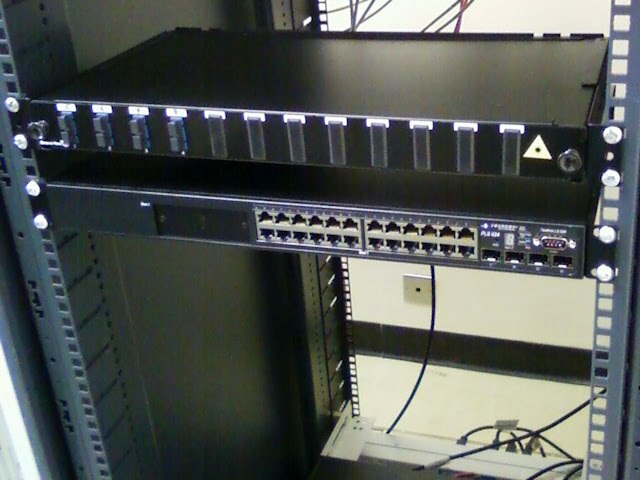 Below it is the 10-Gbit/s network switch.